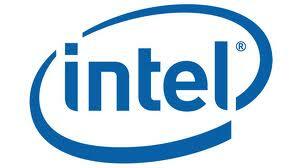 Home » Gadgets » Intel » mobile tech... » smartphones » tech news » tECHNOLOGY » Intel to launch smartphones. 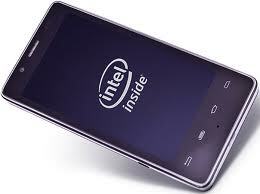 US-based chipmaker Intel would develop smartphones with its chips, priced Rs. 7,000 onwards, in India in partnership with handset makers. 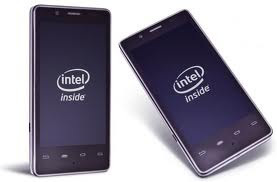 The touch screen-based smartphones, based on Google's Android operating system, would be available in the market by the middle of 2013, Intel South Asia Managing Director, Sales and Marketing Debjani Ghosh said on the sidelines of INFOCOM 2012 here. In India at present, Intel has a partnership with Lava. 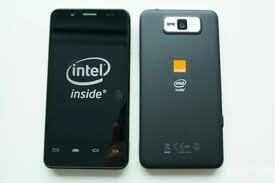 'Lava Xolo', which features Intel's mobile chip, was launched early this year. "The first handset with Lava that we launched was a premium one. We learnt that it was important to have a portfolio and offer choice to the user. We will not have entry-level handsets but our smartphone range will be priced upwards of Rs. 7,000," she said. Ghosh, however, did not divulge whether the partnerships would be with homegrown or International equipment makers. I am not sure where you're getting your info, however great topic. Feel free to surf to my web page Is OptionBot a SCAM? people like us have a place to go that's stress free, easy to use, fast and efficient. Magnificent items from you, man. I have understand your stuff prior to and you're just extremely magnificent. wise. I can not wait to read much more frdom you. Thhis is really a wonderful website. I just could not leave your website before suggesting that I actually loved the standard info a person provide in your visitors? and thought I should chеck things out. I ike what Iseе so now i am following you. Look forward to going oover your web page again. me. I will inform you if its work for me as well. your site is great, continue the good work! on few general things, The web site style is great, the articles is really nice : D.
to a month. By qualifying for these loans and end up your entire unwanted cash fiscal crises immediately. I visited various web pages but the audio quality for audio songs present at this site is really excellent.